Why I Loved It: if you were a male in the 80s and wanted to what we’ll generously say show off your soft side, tracks from Chicago 17 was about as soft as it gets. Some of my ultimate guilty pleasures musically as a teenager came from this album. At the time it wasn’t exactly manly to admit you were in love with hearing “Hard Habit to Break” or “You’re the Inspiration” as it was cheesy stuff, really cheesy stuff. Super producer David Foster was the driving force behind the album (as well as the album that preceded and followed 17) as Peter Cetera went from being one of the guys in the band to THEE guy in the band. Horns were a Chicago trademark but were often invisible on this album, as synthesizers and drum machines became more prevalent. Their ballads were huge and pioneering in that it would set the stage for the second half of the decade and beyond for singers like Richard Marx and Michael Bolton as well as countless hard rock “power” ballads from groups like Bon Jovi, Poison and many mothers. Ultimately it didn’t sit well with the band, as growing dissention among their direction led to Cetera leaving the group after this album. Chicago 17 was the group’s most successful album and while many longtime fans of the group will argue otherwise, in my opinion their best. Commercial Success: Fourteen times was a charm for Chicago as this album, their 14th studio effort became their biggest seller ever, moving over six million copies. Chicago 17 peaked at number-four on the Billboard Top 200 and reached number-one in Sweden, because Sweden people are cooler than Americans. “You’re the Inspiration” hit the top of the Adult Contemporary charts and made it to three on the Billboard Hot 100. “Hard Habit to Break” went to three on both the Adult Contemporary and Billboard Hot 100, while also being nominated for Record of the Year and Best Pop Performance by a Duo or Group with Vocal Grammys. “Along Comes a Woman” reached No. 14 on the Billboard Hot 100 while “Stay the Night” climbed to No. 16, giving the album four top 20 singles. 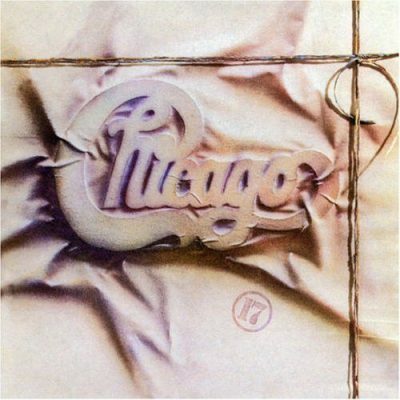 Chicago 17 ultimately won two Grammys; David Foster for Producer of the Year, Non-Classical and Umberto Gatica for Best Engineered Album, Non-Classical. Chicago wrote most of their own songs, but they used outside writers on this one: Steve Kipner and Jon Parker. Kipner also wrote “Physical” and “Genie in a Bottle.” Parker has written many songs as well as music for TV shows, including the game show Family Feud.